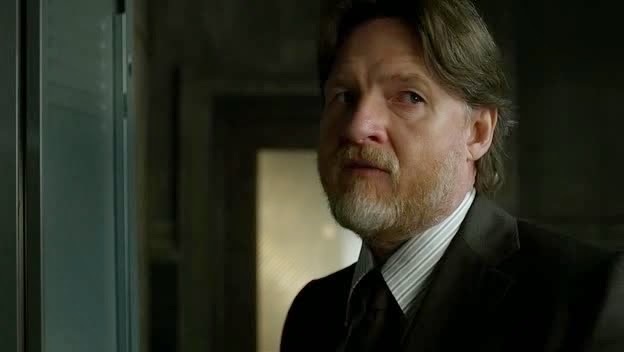 With the release of crooked detective Arnold Flass from custody, despite overwhelming evidence against him, Jim Gordon’s resolve to clean up the GCPD is intensified yet again. Can Jim, with the help of Harvey Dent bring down Commissioner Loeb once and for all? Meanwhile Fish Mooney journeys further into the strange world of the Dollmaker. So this is yet another episode of ‘Gotham’ which seems to spend the majority of its running time setting up narrative threads for future episodes. A lot of shows have this kind of continues format, choosing to ignore the singular villain of the week angle to instead build a running narrative. ‘Heroes’ for example took the style of an ongoing serialised comic book, with each episode added more to the overall plot. This method of storytelling works fine but it requires consistency. ‘Gotham’ seems to dedicate entire episodes to setting up future episodes, yet also decides to have singular episodes which are self-contained. This not only makes the universe of the show feel unevenly paced but also makes some episodes entirely expositional. ‘Everybody has a Cobblepot’ suffers from these problems more than most. For example, the scenes with Fish Mooney take up half the episode and exist purely to establish Dollmaker’s facility. Mooney is walked from room to room, shown various things and has them explained to her/us. 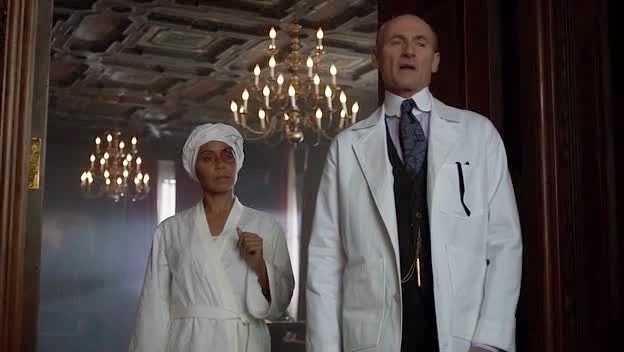 These scenes really aren’t very interesting because early on we become aware that Fish Mooney is at no risk and that she doesn’t care about the people in the basement, therefore sealing their fate. With no threat or tension left in the narrative we are given a showman-like, relaxed tour around a psychopathic doctor’s house. If this facility were to feature in numerous future episodes this extensive coverage could be explained but it won’t be. 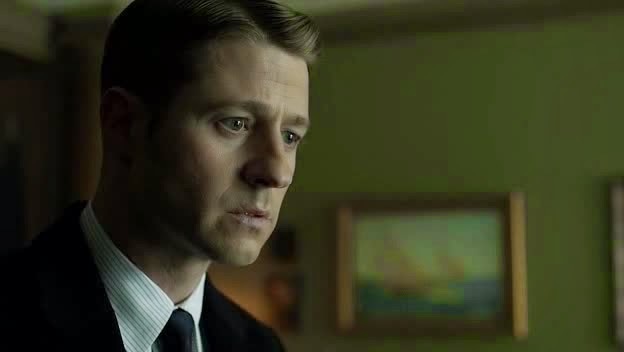 ‘Gotham’ will become bored, as it always does and move on to a new villain, making this build up a giant waste of time. Jim’s confrontations with Loeb and the corruption of the GCPD are more interesting but nothing we haven’t seen earlier in the series with more teeth. Yet again we go through the motions of ‘Can Bullock be trusted?’, ‘Is Dent all he seems to be?’ and the always popular ‘How bad will Jim be willing to make himself to get the job done?’. The fact that Flass has to be released at the beginning of the episode, in order to be rearrested at the end shows how pointless this episode really is. Nothing really changes much. Jim does manage to score a small victory again Loeb but it feels too easy. 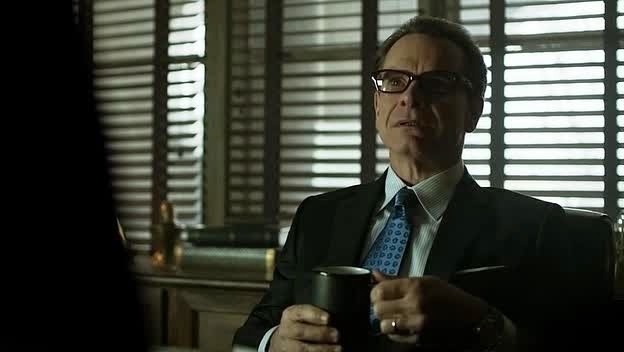 When Commissioner Loeb was introduced in ‘Gotham’ he seemed genuinely threatening. For him to be bested so easily and, more importantly, briefly is a big disappointment. We get some interesting glimpses into where the storyline with Bruce and Alfred will go, with Bruce having used his deductive skills to work out why Alfred was attacked. However these scenes, yet again, exist purely to set up the upcoming finale episodes. I made a joke in an earlier review, about how the ‘Previously on Gotham’ segments would eventually take up most of the episode, it seems I predicted the future. I really don’t understand why, in the binge watching ‘Netflix’ generation, these kind of constant recaps are necessary? 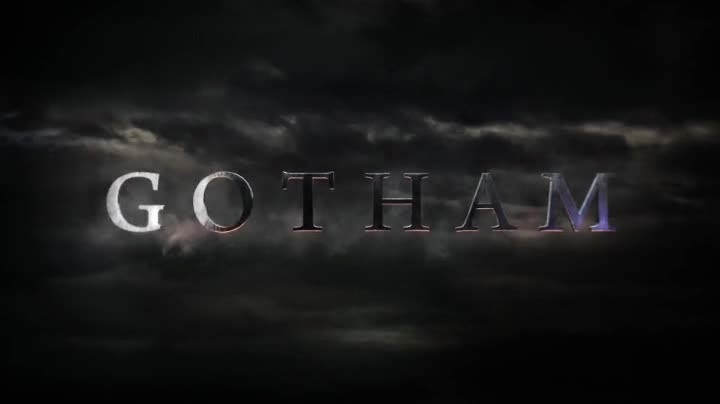 It’s not even like ‘Gotham’ is that complicated to follow. So is this episode really as pointless as I suggest? Not entirely, we get some really nice scenes with Harvey Bullock and Oswald Cobblepot. These scenes, particularly in the case of Bullock, add to the characters and are almost worth watching the episode for alone. It isn’t that this episode is bad; the improvements in the overall production from the previous episodes are still evident. It’s just weird to see a TV show attempting to stall for time, as if it was waiting for new material. Quick tip, go to a comic shop and look up a guy named ‘Batman’, you’ll have plenty of new scripts! James Berridge. Simple theme. Powered by Blogger.